I used to not feel comfortable if I go out without wearing foundation to cover my pimples scar. 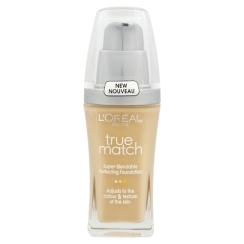 I would normally use Loreal's True Match Foundation and that seemed to be the best foundation I could find so far that did not oily nor look too cakey. While using it, I do realize the disadvantages of using foundation. They clog pores, pimples will grow, hence more foundation to use. While surfing in the internet, I found a lot of people raving about BB creams. BB Cream is an abbreviation for 'Blemish Balm Cream' or 'Brightening Balm Cream'. This cream is said to be an ointment prescribed by dermatologists to patients who have undergone laser skin surgery for its soothing and skin-regenerating properties, especially for highly sensitive skin while also providing good coverage for post-laser scars and redness. BB Cream is an all-in-one of foundation, concealer, moisturizer and sunscreen. Two years ago, i was looking for a suitable BB Cream for me. Please be aware that most BB Creams are very light in colour and might not be suitable for your skin colour. Because it is so popular in Asia, there are many brands available. To name some, Skin Food, Skin79 and Missha are the famous ones. I am lucky enough to chance upon Dr. Gowoonsesang (Or known as Dr.G) Brightening Balm SPF 30++ PA while shopping in Sasa at Sungai Wang Plaza. I decided to part with my RM99 and i bought a tube to try. But in summary, I can only say good things about the cream. 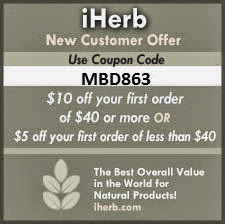 It is non-oily, non-sticky and glides easily on the skin. Although it has SPF coverage, it is easy to blend unlike normal sunscreens. On the first few applications, I feel that it does not have enough coverage on my skin. But after a few days, I begin to like the feel of it as less coverage = more natural. Because of the high SPF coverage, night photos with flash might make your face looks pale. My skin started clearing up and my blemishes lightened. I see huge improvements in only 1-2 months of using it. For the first few months, i usde it almost for the whole face. After the improvement on my skin, I only use it to balance my face on the uneven patches of redness. Nowadays, I will only use at the side of my nose where it is normally reddish as well as my forehead and chin because it tends to be oily. I only need to use very little because I do not need that much coverage as before anymore. Then i will sweep a little over the whole face for my SPF 30 coverage (Sun is bad in South Africa!). It's not very cheap but a tube of 60ml for RM99 lasted me for more than 6 months, plus I know it is actually helping my skin. haha yes really wan, skin improved a lot cos no more clogging..remind me "restock" when i'm back! wondered how i managed to step out in the past without bb cream. i am living in cape town now, u mentioned sun is bad in south africa but bought bb cream in malaysia, where are you staying wor? i can't find the cream here!!! Hey Shu-Wen, I'm Tracy, sorry I didn't leave my name, lol. Yeah, got quite excited I can finally find someone who's nearer to home but didn't want you to wonder if I'm some kinda stalker or something, lol. I stay in Century City, next to Canal Walk. I'm a Singaporean but do have a soft spot for Malaysia having traveled there often. Your blogs are very well written!